This product has been discontinued. Please visit the Stationary Battery Bi-Directional Recombination Vent Caps page for comparable product information. 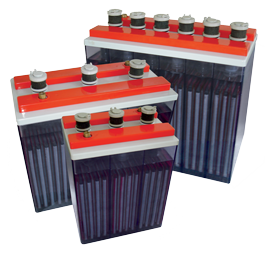 Operation of lead acid batteries results in the electrolysis of water. Hydrogen and oxygen are naturally created as part of this process and these gases can accumulate and become explosive. Electrolysis also reduces the amount of water in the electrolyte, which in turn requires the battery to be watered more frequently, increasing maintenance requirements. The SBS recombination vent caps help to prevent the gases generated through electrolysis from escaping. Inside the cap is a catalyst (rare earth element) which reacts with hydrogen and oxygen and converts the gases into steam. This is an exothermic process and heat is generated during this recombination process. 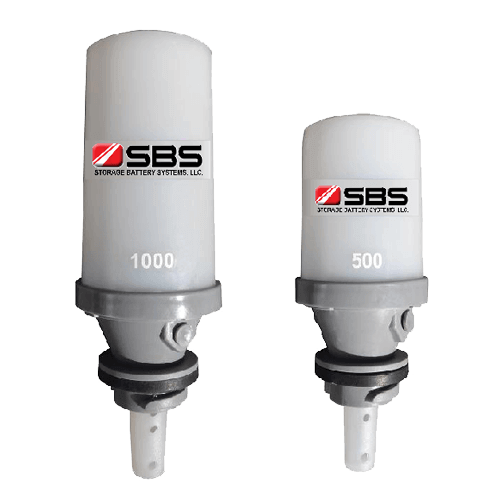 SBS recombination vent caps significantly improve safety, preventing (under normal conditions) the flow of gas into the immediate surroundings and eliminating the risk of ignition as well as reducing the need for water refilling.